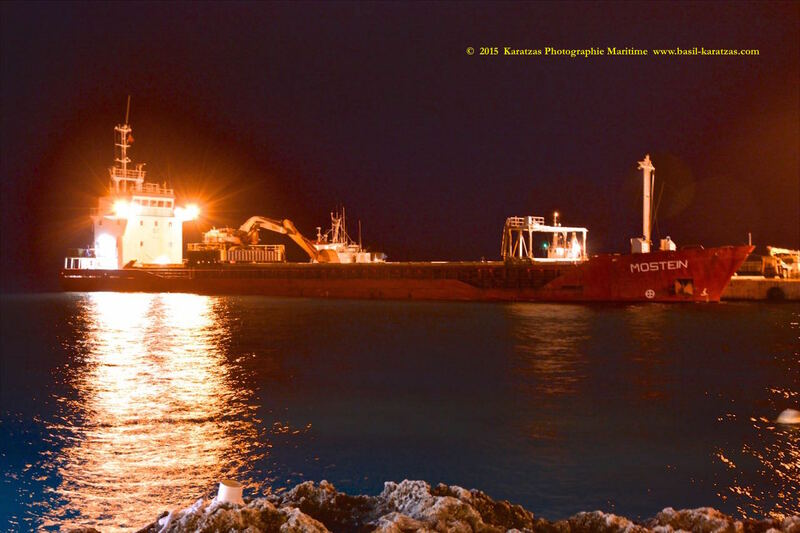 Posted on May 22, 2015 by Karatzas Marine Advisors & Co. 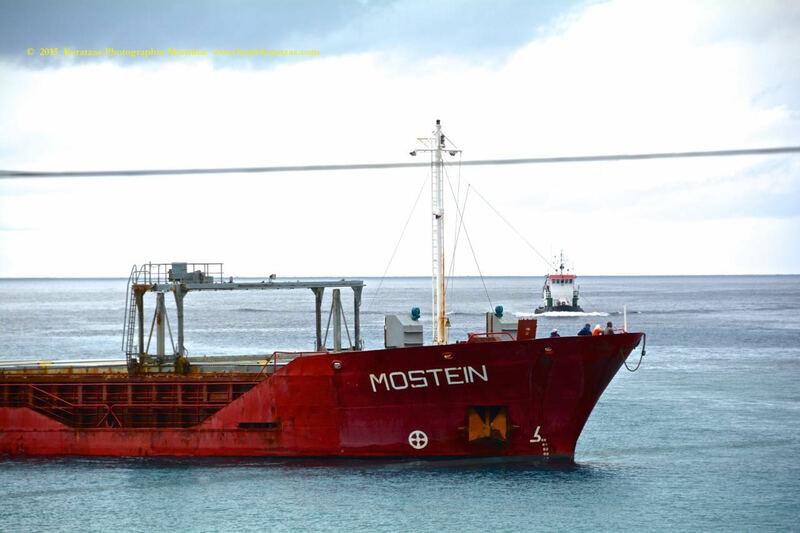 IDENTIFICATION: Ex-names are Moritz, Mark C. Call Sign C6UC8, IMO Number 9100176. 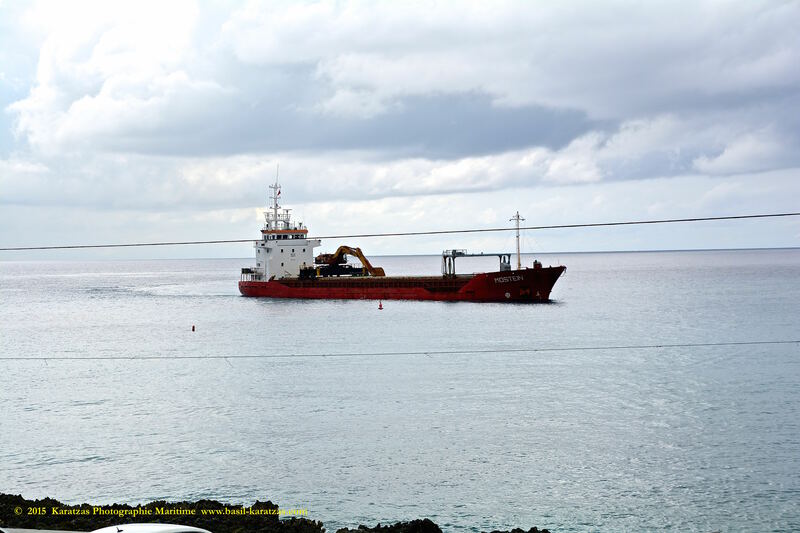 Built at Damen Hardinxveld, Bahamas Flagged, DNV Classed, Ice Strengthened 1C Class. 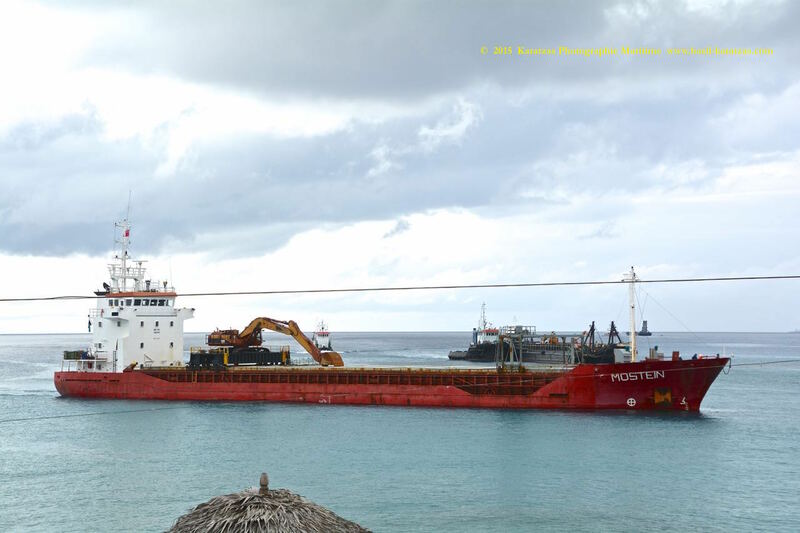 DIMENSIONS/TONNAGES: Moulded Depth of 7.15 m., Tonnage of 1,590 International Net and 4,700 Dwt (long). 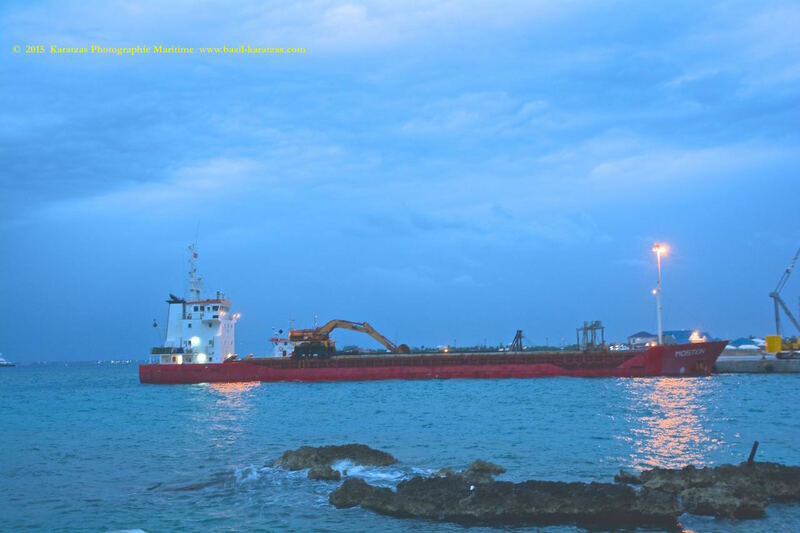 Length Overall of 89.00 m., Length Between Perpendiculars of 84.99 m., Draught of 6.10 m., Beam of 13.17 m., 10.70 Tonnes per Centimetre Immersion, Gross Tonnage of 2,744, ENGINE DETAILS: Engine Description 4 S.A. 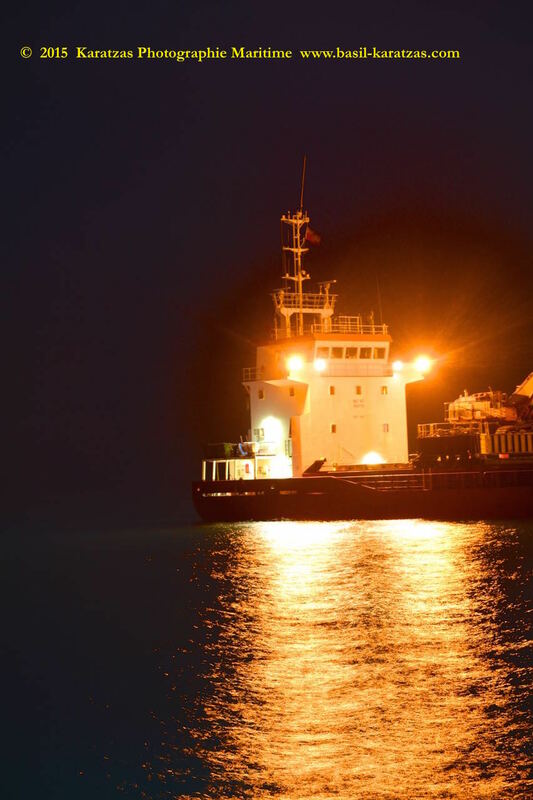 6-cyl., Engine Model 6M453C, MaK Engine, Speed of 11.50 kts at 10.00 tonnes per day, Marine Diesel Oil, Horsepower of 2447, Bunker Capacity of 227 tonnes. 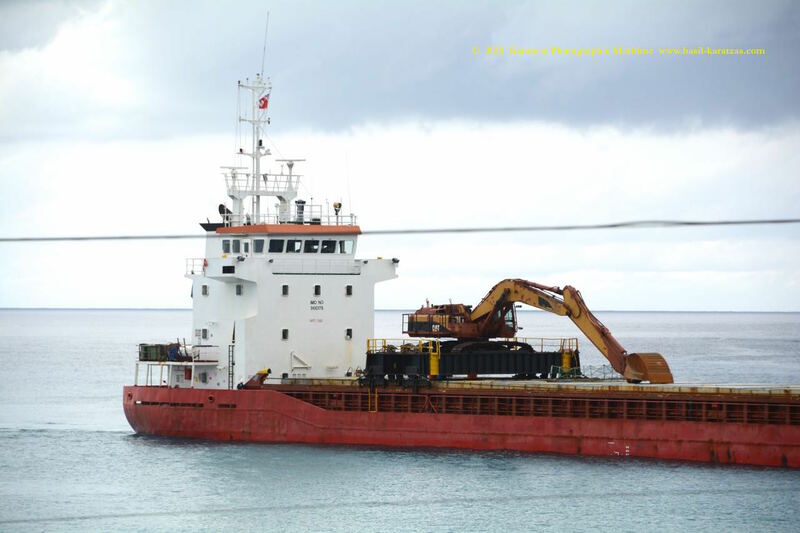 1 Variable Pitch Propellor, 1 Bow Thruster, Shaft Generator 365 kW. 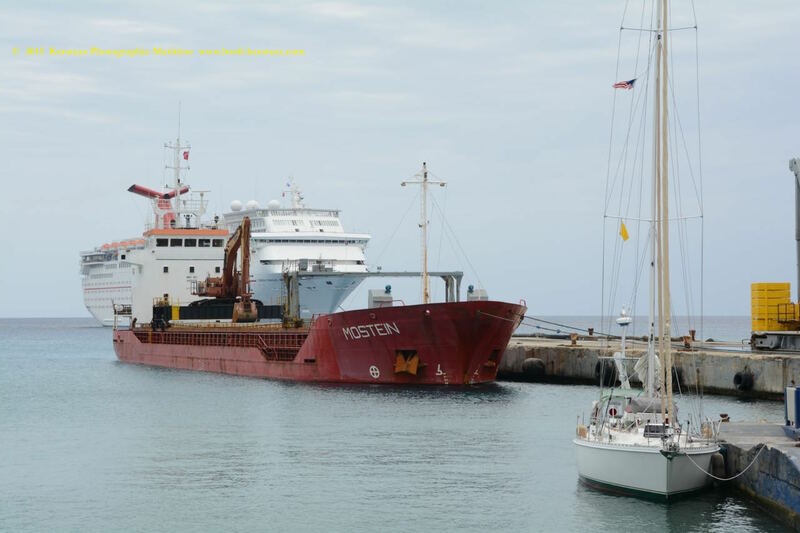 CARGO HANDLING: Grain Capacity of 5,717 cu.m., Maximum TEU of 117 in holds and 80 on deck, maximum hatch dimensions of 62.50 x 11.00 m., 1 deck(s), ratio of dwt per TEU is 24.23858. 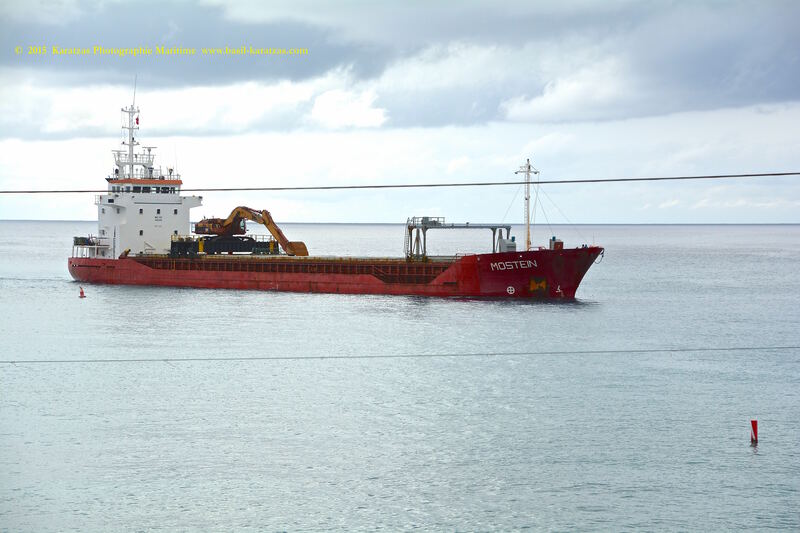 SAFETY AND OTHER DETAILS: Last known special survey in July 2011, Crew complement of 9 people, Bridge Position Aft. 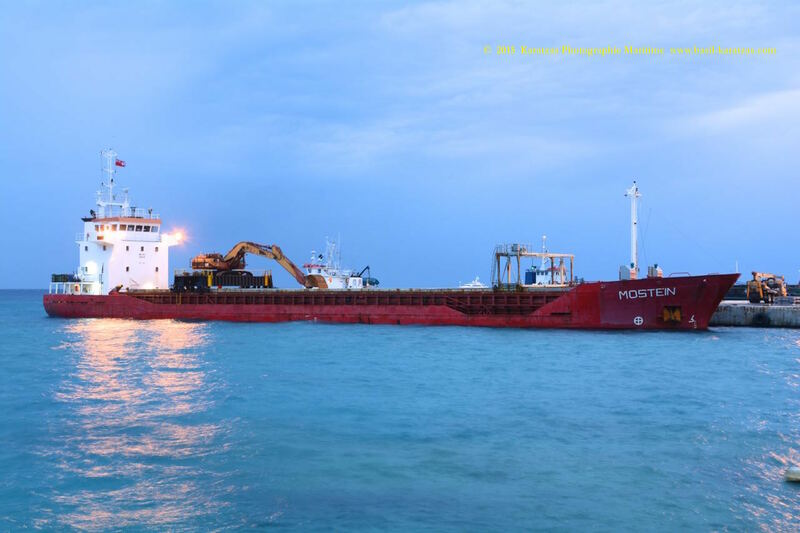 Grain Capacity of 5,717 cu.m., Bale Capacity of 5,717 cu.m., 1 Holds, 1 Hatches, Total Teu capacity of 197, Maximum Teu of 117 in the Holds and 80 on Deck. MAIN ENGINE: 1 x Diesel – MaK 6M453C 4-stroke 6-cyl. 320mm x 420mm bore/stroke – 1,800mkW total at 600rpm. AUXILIARY: 2 x Aux. Diesel Gen – Agco Sisu4-stroke driving 2 x AC generator(s), 1 x Emergency Gen – Agco Sisu4-stroke driving 1 x AC generator(s). OTHER POWER EQUIPMENT: 1 x Shaft Generator (PTO). 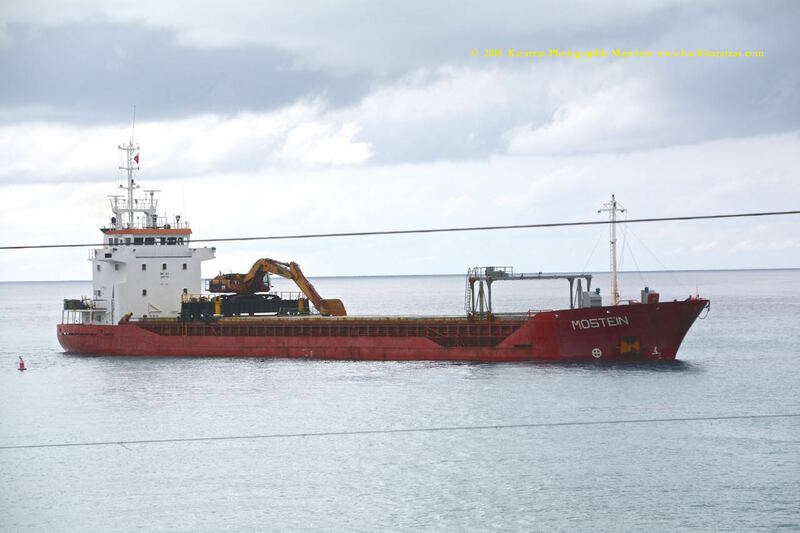 POS, PROPULSOR: 1 x Pos, Tunnel Thruster (Fwd.) (electric) at 210ekW total AC. OTHER ENGINE EQUIPMENT: 1 x Gearbox, Engine – Renk Tacke, 1 x Screw Shaft. 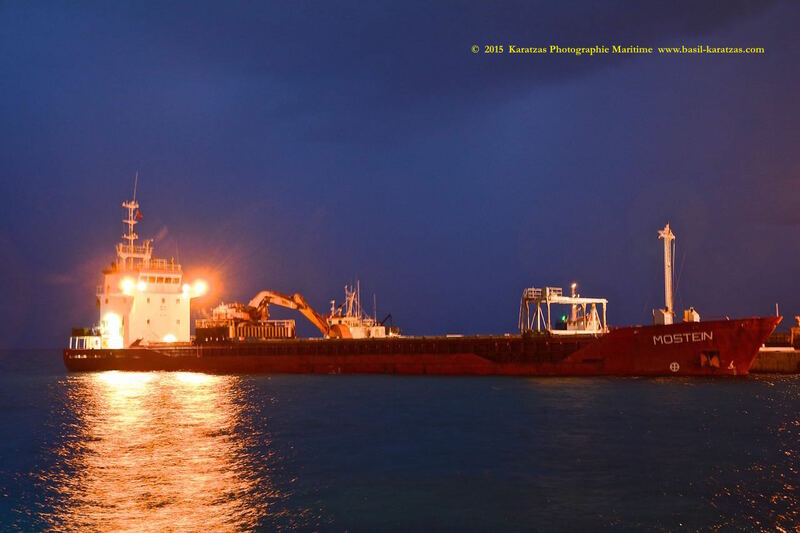 This entry was posted in Dry Bulk Vessel, Grand Cayman, Multi-purpose Vessel (MPP) and tagged Basil Karatzas, Damen Hardinxveld, George Town, Grand Cayman, Karatzas Photographie, mini-bulker, Multi-Purpose Vessel (MPP) by Karatzas Marine Advisors & Co.. Bookmark the permalink.